Our Service Department is the backbone of our company where our team of engineers support our Sales, Rental and Maintenance of the products we have on offer. Based at our Head Office in Bognor Regis and operating from our purpose built workshop our service team offer full in house service. 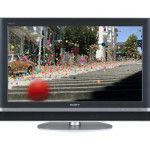 We repair and service all LCD and Plasma Televisions, DVD, Hi-Fi and Audio Equipment. We also handle many types of electrical equipment including Microwave Ovens and Vacuum Cleaners. As Service Agents of Panasonic we can assist you with an item that is still under Guarantee, whether it was purchase from us or not. In most cases this can be done Free of Charge. Full service cover can be added to any product with our comprehensive maintenance contract which gives you Total peace of mind service * Same day with a free loan product if we need to keep your set for more than twenty four hours.